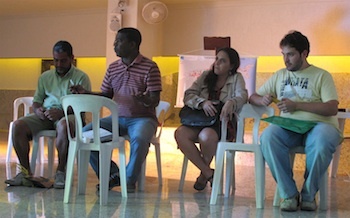 The Rio de Janeiro City government, as represented by the Municipal Housing Secretary (SMH), has partnered with the Bento Rubião Human Rights Foundation (FBR), to organize a series of debates around Rio’s Municipal Housing and Social Interest Plan (Plano Municipal de Habitação de Interesse Social, or PMHIS). 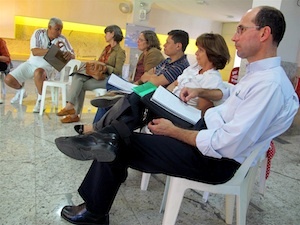 The series of five regional workshops and thematic seminars began on September 10th and are conducted weekly through October 15th, providing the public with opportunities to create and define strategies and actions with the stated purpose of advancing their living rights, as well as rights to the city, in the next fifteen years. The Municipal Housing and Social Interest Plan is a basic and essential requirement for the implementation of the National System for Housing in the Social Interest (Sistema Nacional de Habitação de Interesse Social, or SNHIS) and for access to the National Fund for Housing in the Social Interest (Fundo Nacional de Habitação de Interesse Social, or FNHIS). The Municipal Housing and Social Interest Plan is stated to seek to develop conditions that will foster the goals and programs until 2025, which will cover three election cycles. Thus, the continuity of the program, its strategies and actions will depend on the direct participation of the public. Thus, PMHIS was instituted in order to create a democratic and inclusive process while continually increasing public participation. Each workshop, all held on Saturdays, focuses on one of Rio de Janeiro’s five Planning Areas (AP) and allows participants to identify the housing necessities of the neighborhoods that constitute each AP. During the first meeting on September 10th at the Paróquia São João Batista, in Botafogo, participants discussed the future of the favelas located in Rio’s South Zone (AP2). Representatives from different favelas opened the morning by presenting and highlighting specific issues that affect each of their communities. The morning section of the workshop was primarily comprised of various presentations regarding potential plans and projects for AP2, including the Municipal Housing Secretary’s Morar Carioca program. Returning from the lunch break, participants arrived to a new setup, with chairs rearranged in a circle, to allow for discussion and debate on the presentations earlier in the day. The three principal themes presented were: Urbanization and Fundiary Regularization of Favelas, Public Housing Rehabilitation, and Rent. These themes sparked a plethora of relevant discussions regarding issues ranging from the integration of the favelas with other parts of the city, to gentrification, the favorable and more valuable locations in the South Zone, unfinished construction, forced evictions, property rights, land ownership, the informal market, unwanted growth, how much of a say dwellers will have in the planning process and implementation, among several others topics. Throughout the workshop participants expressed a well-balanced amount of social, economic, environmental and political concerns–a possible reflection of the diversity of ages, professions, and origins in attendance. However, a visible, physical separation seemed to exist between the government representatives and the community representatives. 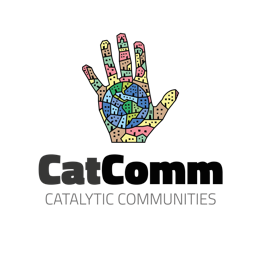 Perhaps this separation represents the schism in communication between those who are planning the communities from the outside and those who plan from the inside, and will live with the consequences of the decisions made. Although the first two regional workshops have already been held, the final three will take place on October 1st (AP5), 8th (AP1) and 15th (AP4). While each regional workshop will be held in a different location, all will occur on Saturdays from 9am-6pm. For more information on the regional workshops and Rio’s Municipal Housing and Social Interest Plan click here or view the brochure here. For more information by telephone contact: +55-21-2262-3406. This article was written by Maria Mancinelli, and published on September 28, 2011.